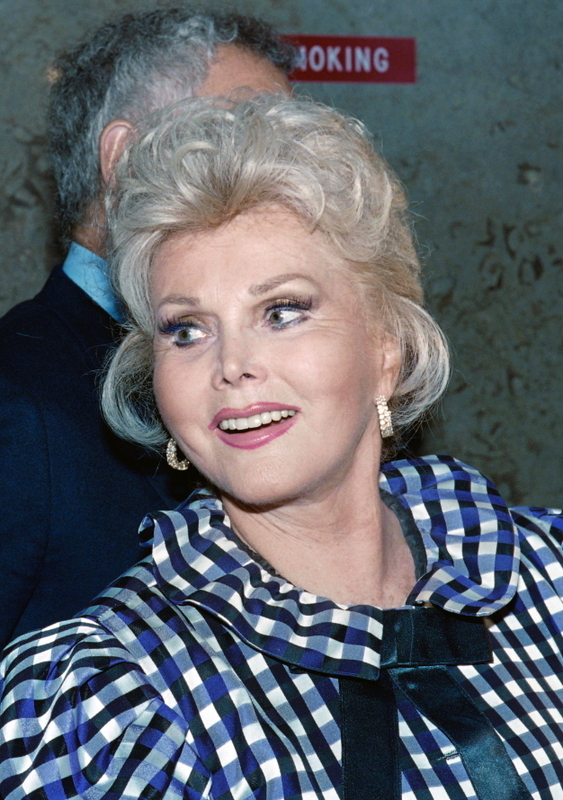 Zsa Zsa Gabor, the jet-setting Hungarian actress and socialite who helped invent a new kind of fame out of multiple marriages, conspicuous wealth and jaded wisdom about the glamorous life, died Sunday at her home, her husband said. She was 99. The middle and most famous of the sisters Gabor died of a heart attack at her Los Angeles home, Frederic von Anhalt said. The great aunt of Paris Hilton and a spiritual matriarch to the Kardashians, Simpsons and other tabloid favorites, she was the original hall-of-mirrors celebrity, famous for being famous for being famous. Starting in the 1940s, Gabor rose from beauty queen to millionaire‘s wife to minor television personality to minor film actress to major public character. With no special talent, no hit TV series such as her sister Eva’s “Green Acres,” Zsa Zsa nevertheless was a long-running hit just being Zsa Zsa -- her accent drenched in diamonds, her name synonymous with frivolity and camp as she winked and carried on about men, dahling, and the droll burdens of the idle rich. She was like popcorn for the public and, for sociologists, the seeming fulfillment of the mindless future imagined in Aldous Huxley‘s “Brave New World,” a creation made possible by mass, electronic media; her words and image transcribed and beamed into theaters and living rooms, on the internet and the shelves of newsstands and supermarket checkout lines. Her secret, in part, was being in on the joke, once saying about a 1956 TV role, “I play a fabulously rich woman who has just bought her fifth husband; she is very unhappy. I won’t tell you who it‘s supposed to be.” Ever game for a laugh, Gabor spoofed her image in a videotaped segment on David Letterman’s “Late Show,” which had the two stars driving from one fast-food restaurant to another, sipping sodas and digging into burgers like they were slabs of wedding cake. In June 1989, Gabor smacked Paul Kramer, a police officer, on a Beverly Hills street, after he pulled over her Rolls-Royce Corniche convertible for a traffic violation. She was convicted of misdemeanor battery on a police officer, driving without a driver‘s license and having an open container of alcohol in the car. She served three days in jail, performed community service at a woman’s shelter and paid $13,000 in fines and restitution.